Touch Football. 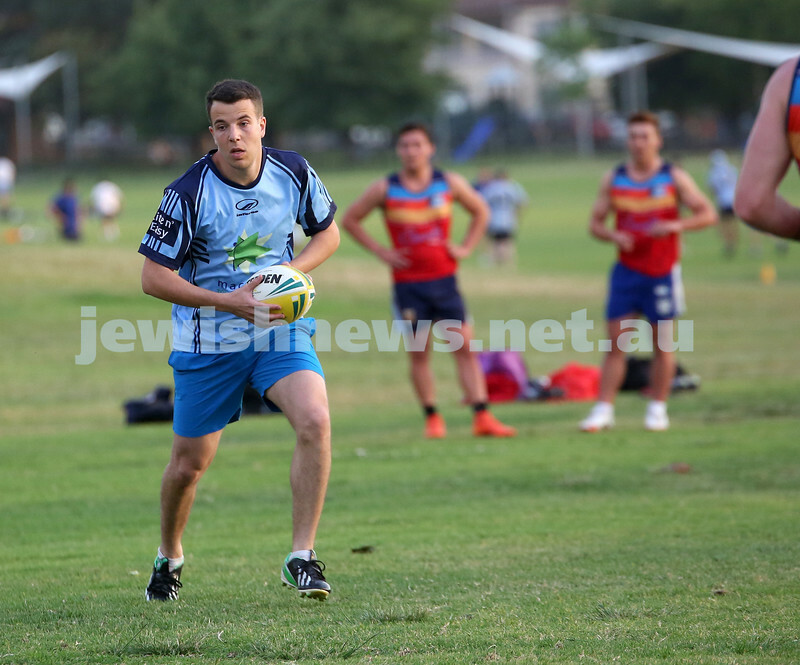 Maccabi Mac Touch vs Rat Pack at Queens Park. Zak Michael runs with the ball. Touch Football. 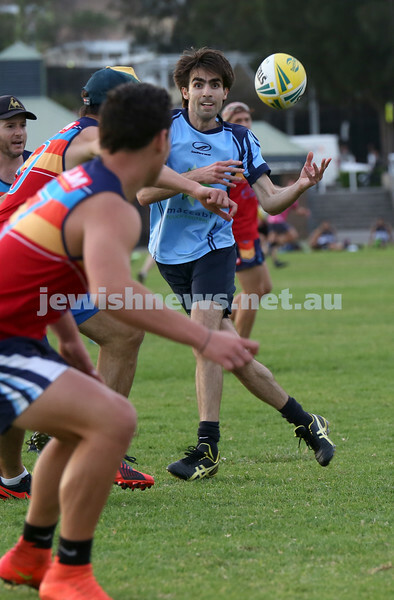 Maccabi Mac Touch vs Rat Pack at Queens Park. Zak Michael passes the ball to David Weiner. Touch Football. Maccabi Mac Touch vs Rat Pack at Queens Park. Zak Michael, Mendel Gestetner, Shuie Gestetner, David Weiner, Menachem Solomon, Doron Chester, Ilan Lavan, Sam Cantori, David Cohen. Touch Football. 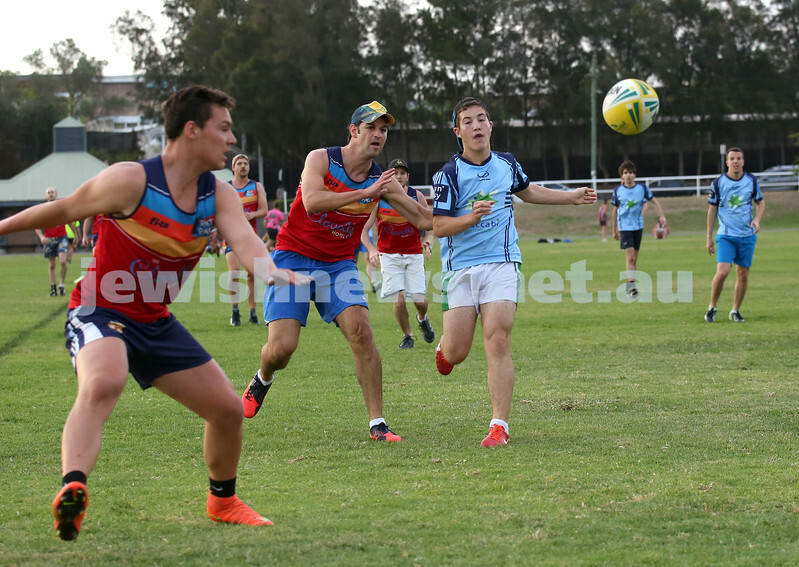 Maccabi Mac Touch vs Rat Pack at Queens Park. Doron Chester sidesteps an oppotent. Touch Football. 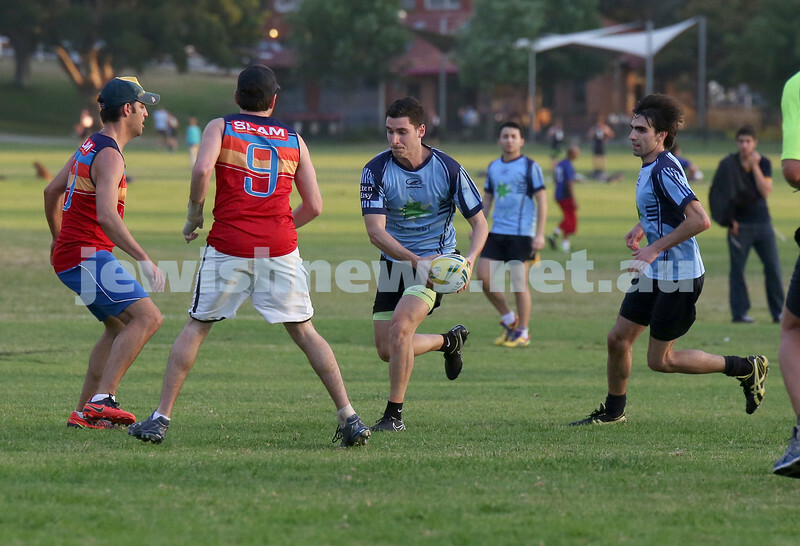 Maccabi Mac Touch vs Rat Pack at Queens Park. Shuie Gestetner makes a break. Touch Football. 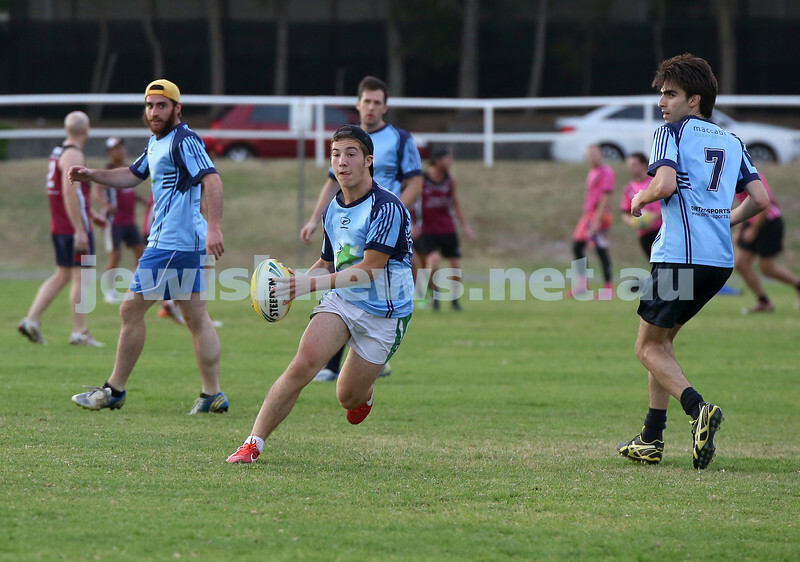 Maccabi Mac Touch vs Rat Pack at Queens Park. David Weiner about to throw a long pass. Touch Football. 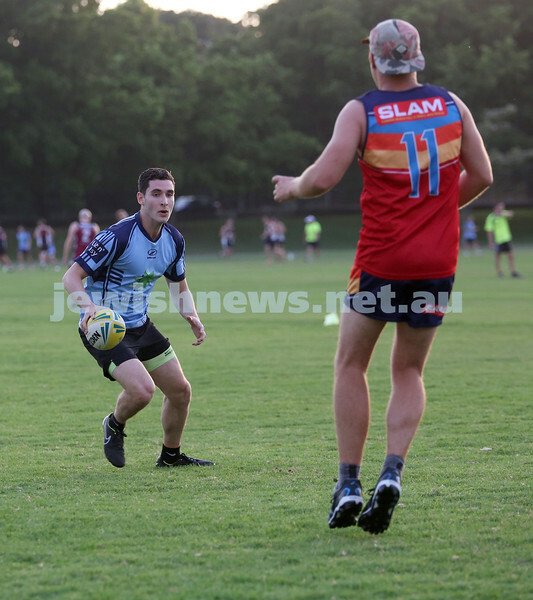 Maccabi Mac Touch vs Rat Pack at Queens Park. Mendel Gestetner runs the ball. Shuie Gestetner on left and David Weiner on right. Touch Football. 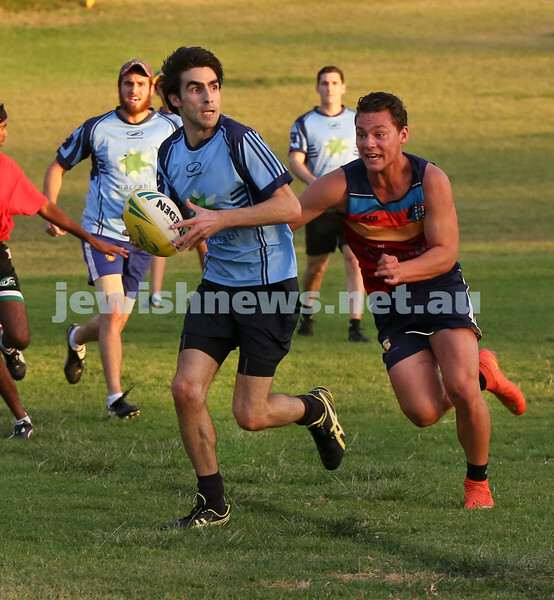 Maccabi Mac Touch vs Rat Pack at Queens Park. Mendel Gestetner throws the ball. Touch Football. 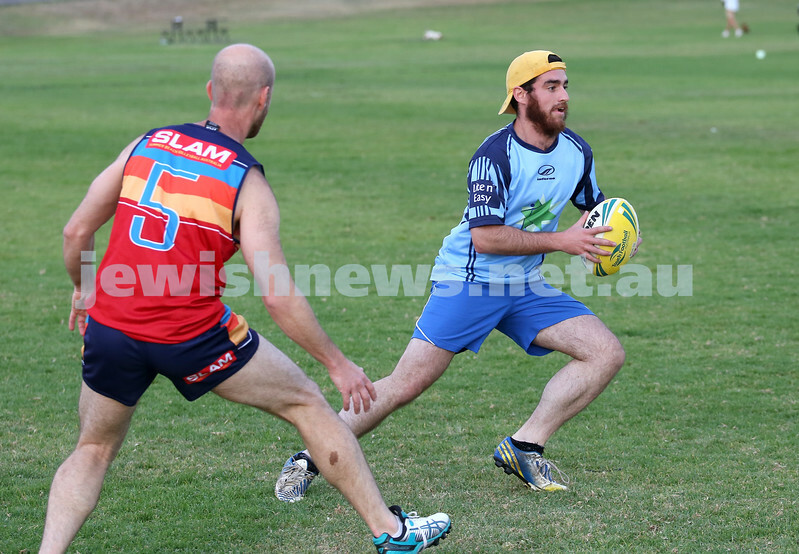 Maccabi Mac Touch vs Rat Pack at Queens Park. David Weiner passes the ball. Touch Football. 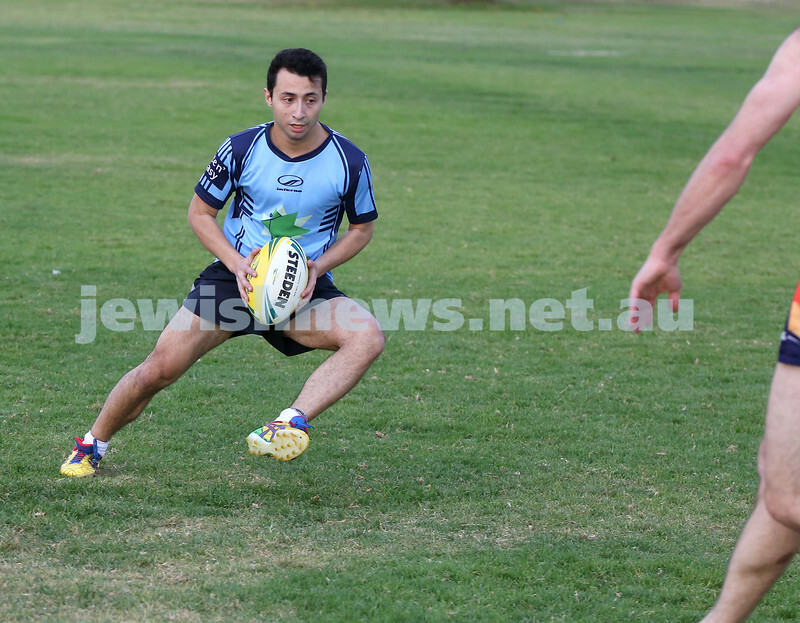 Maccabi Mac Touch vs Rat Pack at Queens Park. David Weiner being chased by an opponent player. Touch Football. 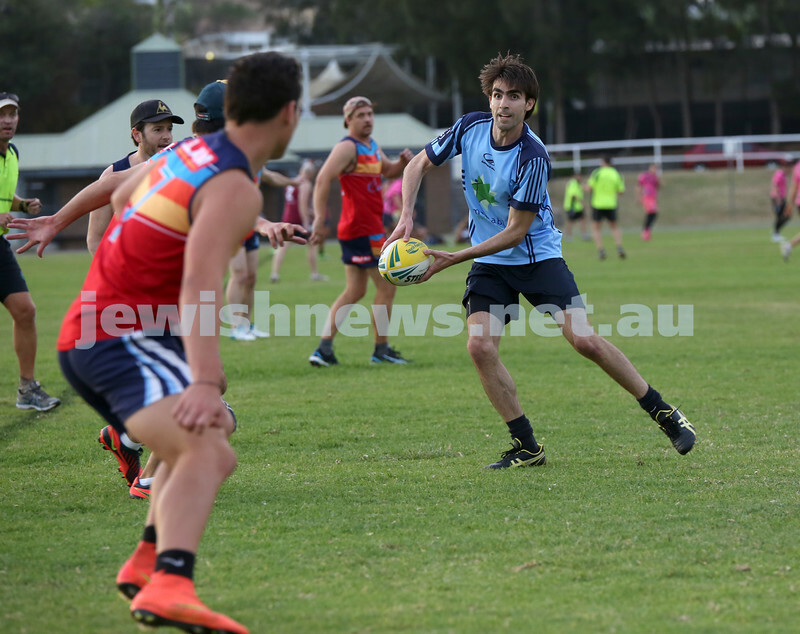 Maccabi Mac Touch vs Rat Pack at Queens Park. David Weiner (L) and Mendel Gestetner run to the ball. Touch Football. 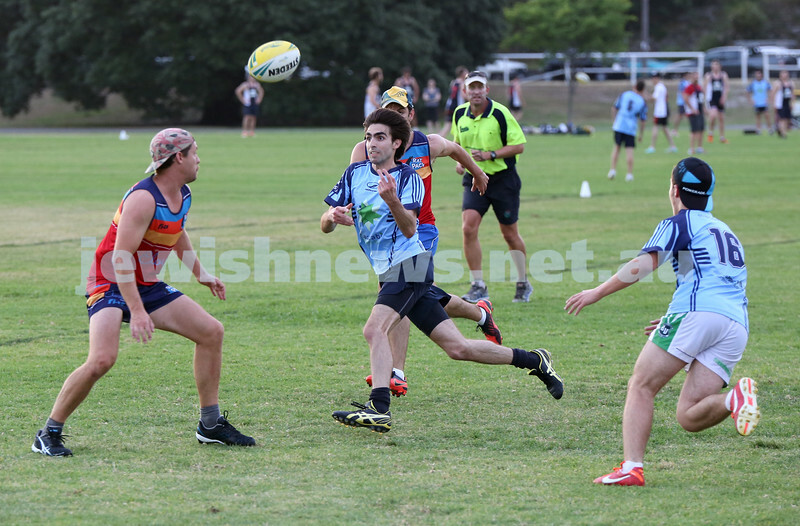 Maccabi Mac Touch vs Rat Pack at Queens Park. Sam Cantori runs with the ball, followed by David Weiner. Touch Football. Maccabi Mac Touch vs Rat Pack at Queens Park. Sam Cantori with the ball. Touch Football. Maccabi Mac Touch vs Rat Pack at Queens Park. 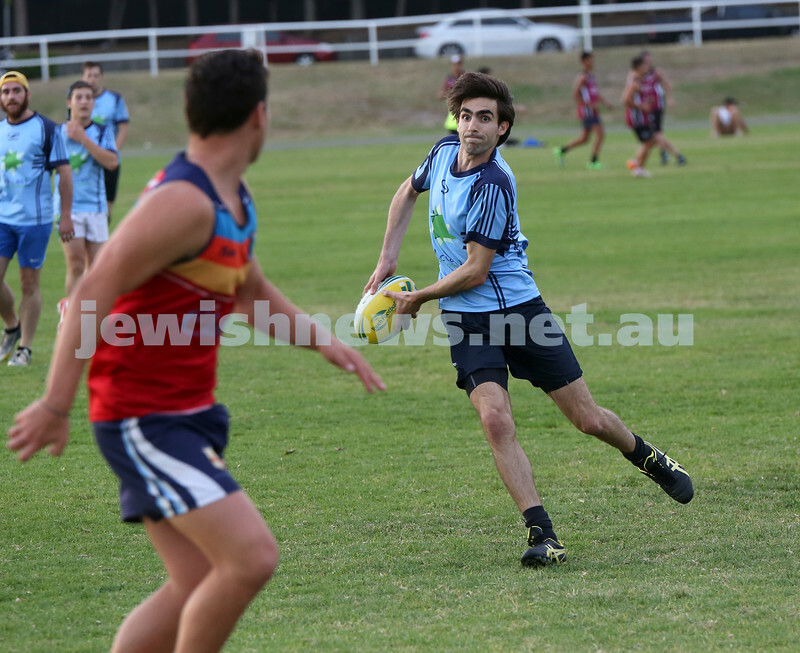 Ilan Lavan with the ball. Touch Football. Maccabi Mac Touch vs Rat Pack at Queens Park. Menachem Solomon tips an opponent player.